I think I'll stick with the Mexican version as my favourite. Meanwhile, in other news from France, Into Darkness is now available to pre-order on DVD, bluray, and 3D bluray there from Amazon.fr. 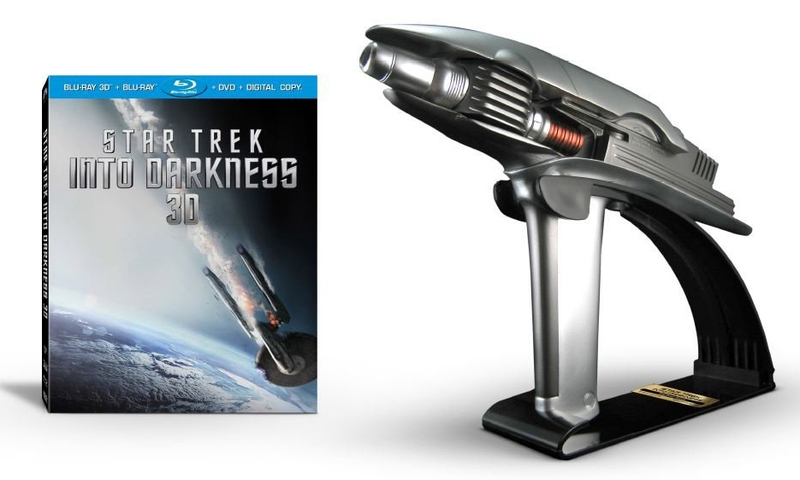 It is also available as the limited edition bluray with the phaser, so far the only country outside the US to offer that. That particular listing is using a poster stand-in for now, but does mention that, in France at least, the deluxe edition will also be coming in steelbook packaging. One more little Into Darkness bit, check out a video Bad Robot poster on Twitter, showing how their screening room became multiple sets for the filming of various scenes in the film. 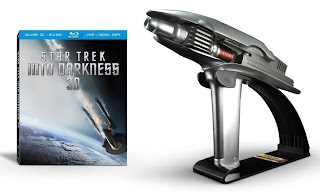 For full coverage of every aspect of Into Darkness, check out my Into Darkness guide page.